What's better than a hearty bowl of pasta for dinner? Making that pasta dinner in one pot! And even better? There will only be one pot to clean after dinner. Here are 12 one-pot pasta recipes that the whole family will enjoy. These recipes include a few dishes that are normally pretty labor intensive, like spaghetti and meatballs. Here, they're transformed into one-pot, low-effort meals. Chefs need quick and easy weekday dinner ideas, just like everyone else. 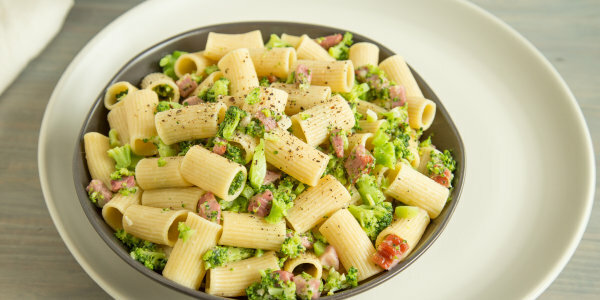 Tom Colicchio from "Top Chef" shared one of his go-to dinner recipes that's an easy pasta dish with broccoli, ham and cheese — all prepared in one pot. The whole dish takes just 15 minutes to prep from start to finish. Drink your wine and eat it, too! This is one of those rare recipes that looks complicated and impressive but is actually so simple to make. 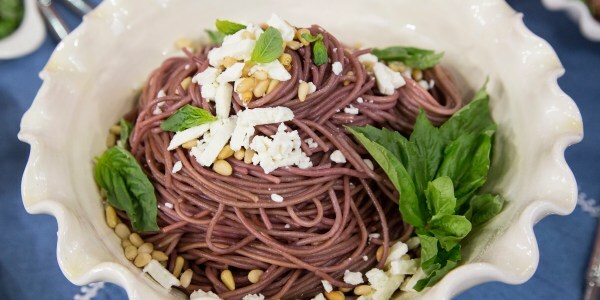 This eye catching, ruby red pasta is always the star of a party. 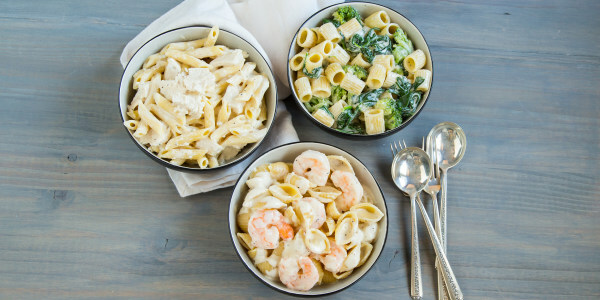 Don't settle for one type of pasta Alfredo when it's possible to create three delicious varieties. The creamy sauce comes together in the slow cooker and doesn't require tons of stirring. Once the sauce is ready, throw in some uncooked pasta and cook for 15 minutes. 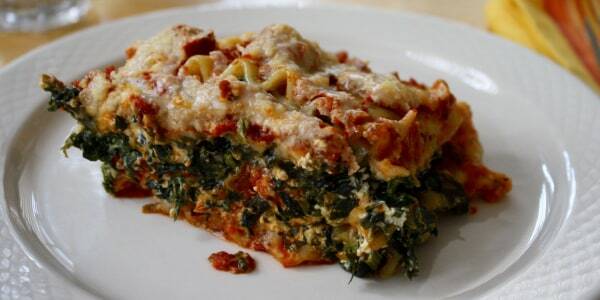 Consider making a vegetarian version with spinach and broccoli. Or throw in some succulent shrimp or tender chicken. This family pleasing, one-pot pasta dish calls for store-bought ingredients like barbecue sauce, so it's quick and easy to make any night of the week. Cooking chicken breasts in bacon fat adds a delicious smoky flavor to the dish. 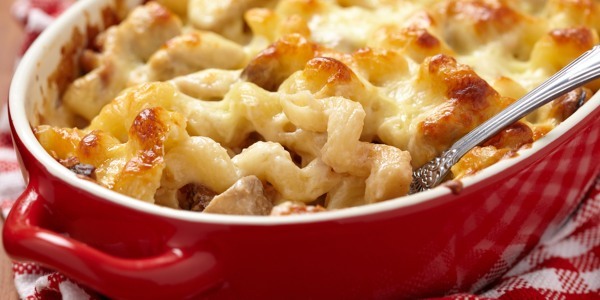 Adding cheese and having it melt right before serving makes the dish extra ooey and gooey. 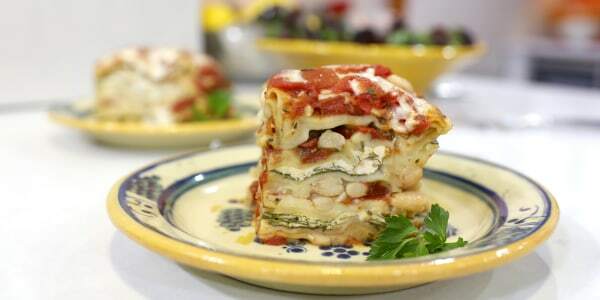 This satisfying slow-cooker lasagna is loaded with lots of healthy ingredients, including white beans, spinach and mushrooms. There are loads of swaps that can be made with this recipe. Vegetables like sliced bell peppers and zucchini work well in this dish. So do kidney beans or black beans. For a meaty version, brown lean ground beef or turkey in a pan, then add it to the tomato mixture before layering. 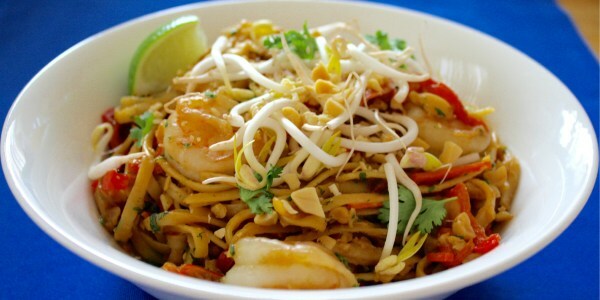 Skip the takeout and try this spin on the classic Thai noodle dish. Making the tangy, sweet and sour pad Thai sauce is surprisingly easy. The one-pot dish is ready in about 40 minutes and serves a family of four with ease. 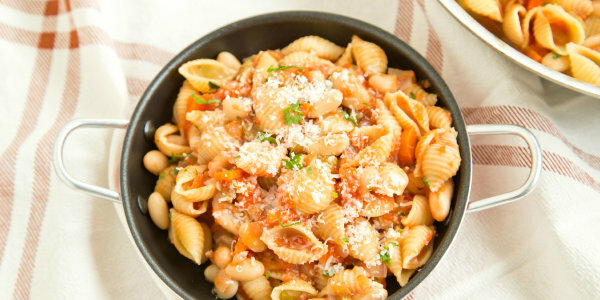 Pasta fagiole (pasta and beans) is a classic, rustic Tuscan dish. Instead of cooking pasta in water, it's cooked in a flavorful stock seasoned with garlic and herbs. The end result is a creamy, stick-to-your ribs meal that also happens to be quite healthy. 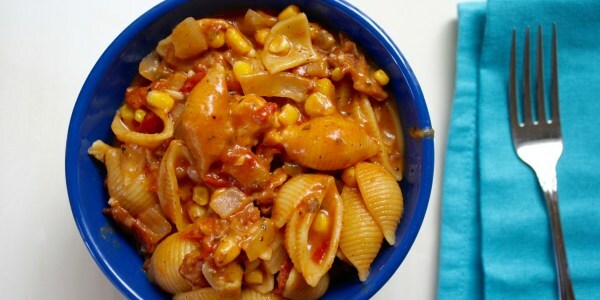 Macaroni and cheese is easy to make from scratch ... especially when it's made in a slow cooker! This recipe gets an extra bit of decadence from that ever-popular add-in: bacon. Garnish each dish with sliced scallions to add a layer of freshness. 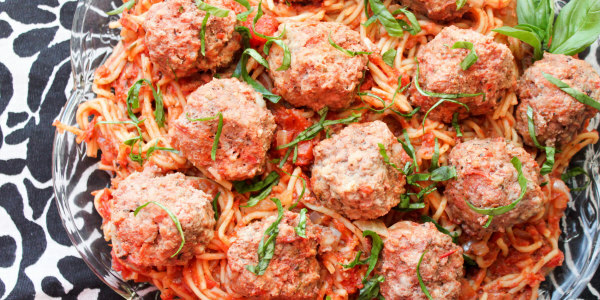 Spaghetti and meatballs doesn't have to be saved for special occasions. With this easy slow-cooker version, the Italian classic can be enjoyed tonight. If any of the meatballs are leftover, use them in a sub sandwich or two for lunch the next day. 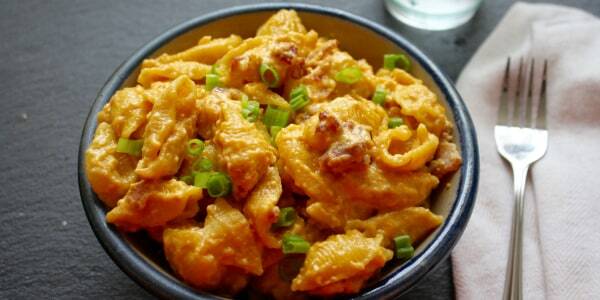 The elbow macaroni for this gooey baked macaroni and cheese is cooked right in the sauce. It's a one-dish dinner that'll bring out the kid in every guest at the dinner table. It's perfect for a weeknight dinner and it's also a great dish to bring to a potluck party. This recipe couldn't be easier. 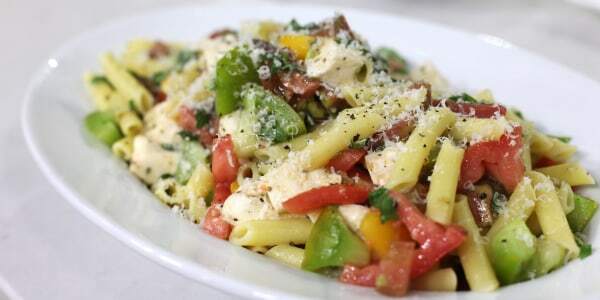 Just toss cooked pasta with fresh tomatoes, cubed mozzarella, garlic and basil. The heat from the pasta will lightly warm the ingredients and melt the cheese. What's the secret to a slow-cooker lasagna with noodles that are tender and not mushy? Start with uncooked, regular lasagna noodles and don't let the Crock-Pot run too long! 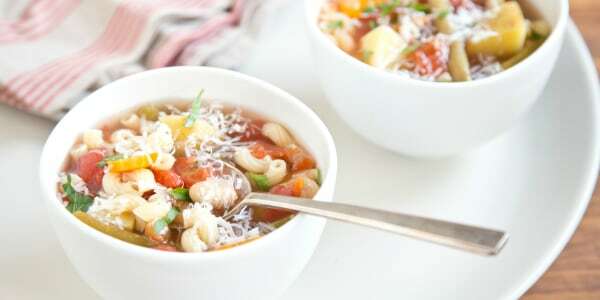 Pasta plays a supporting, not starring, role in this minestrone soup, but that doesn't mean it's not a key element. For a more carb-focused meal, up the amounts of cooking liquid and pasta in the recipe. This article was originally published on Mar. 6, 2017.